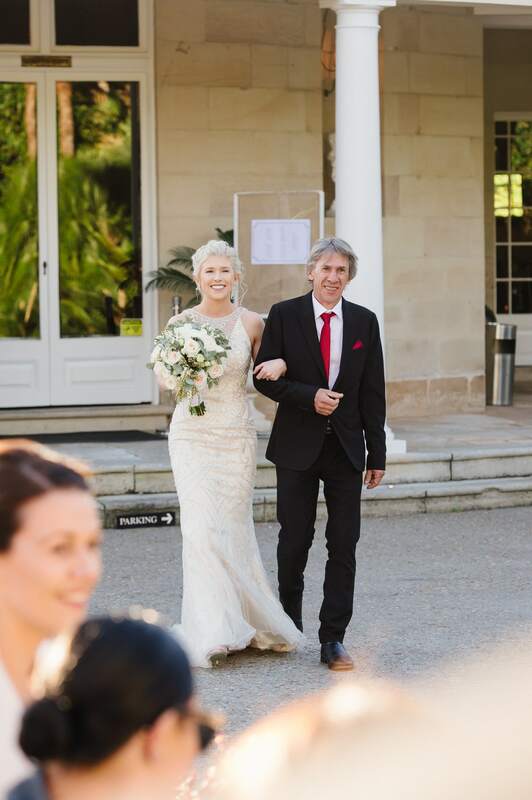 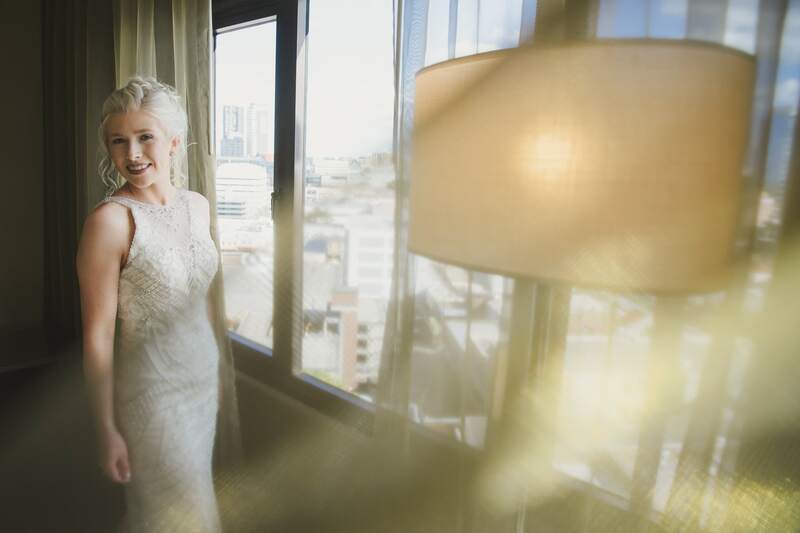 With over ten years’ experience as a leading Sydney wedding photographer, we have had the chance to work at some of the city’s most iconic venues and locations. 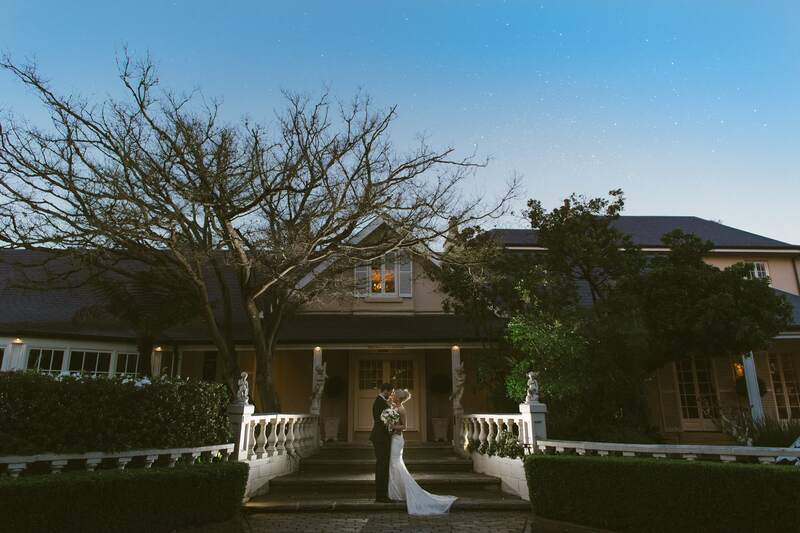 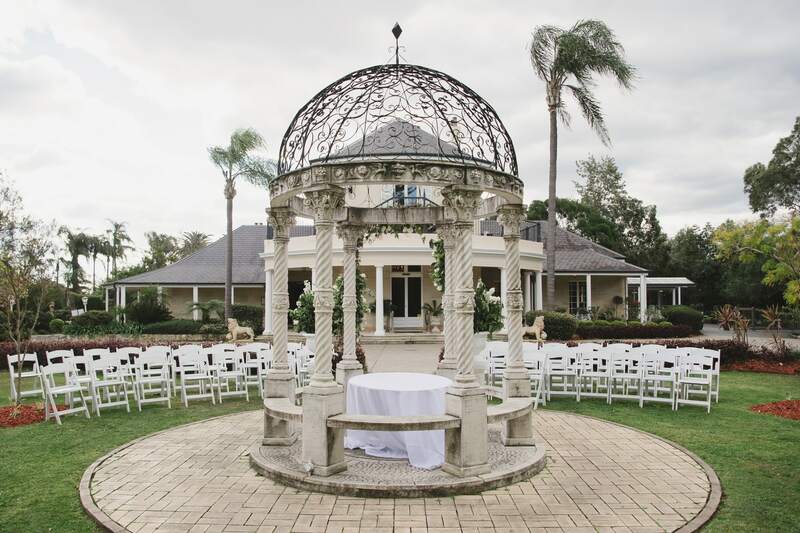 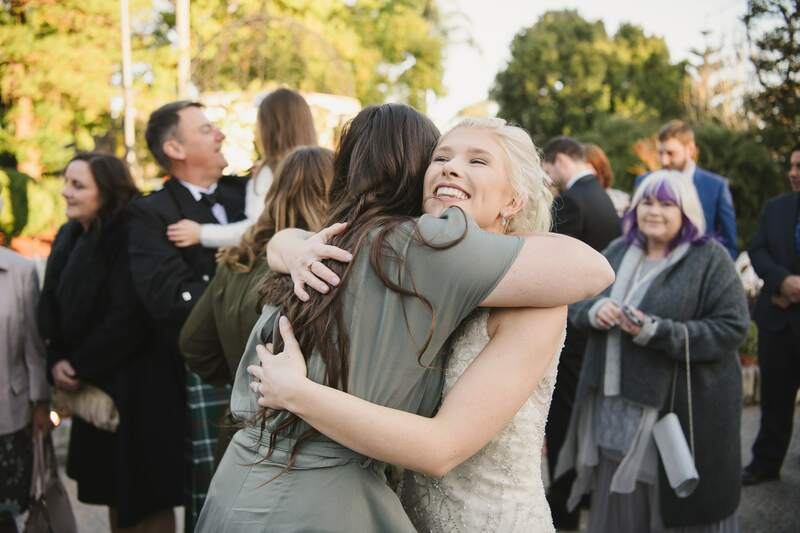 Despite being one of Sydney’s most historic buildings, Oatlands House is a relative newcomer to the wedding scene, following a stunning renovation about five years ago. 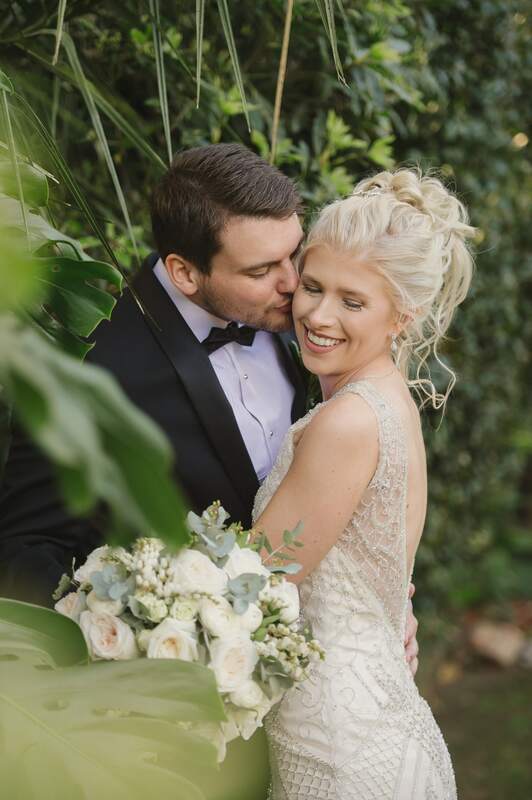 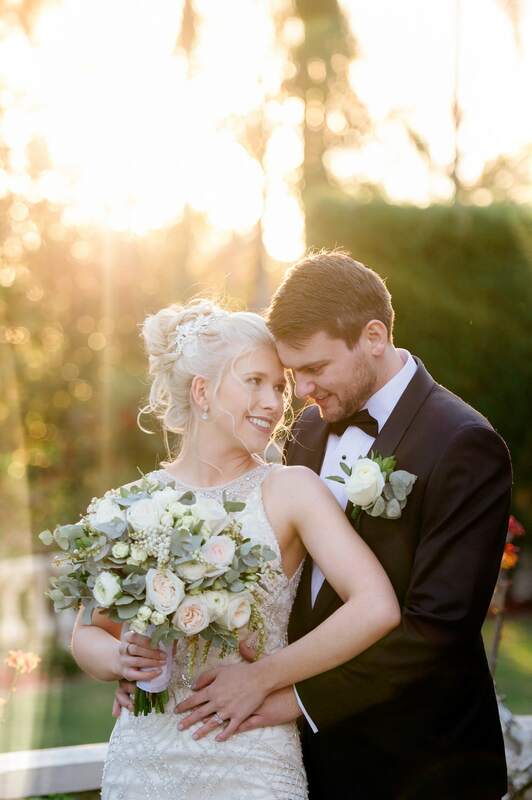 With Georgian style architecture and five acres of classical gardens, it was the perfect backdrop for Dan and Maryn’s special day – and we wanted to share some of the resulting images here. 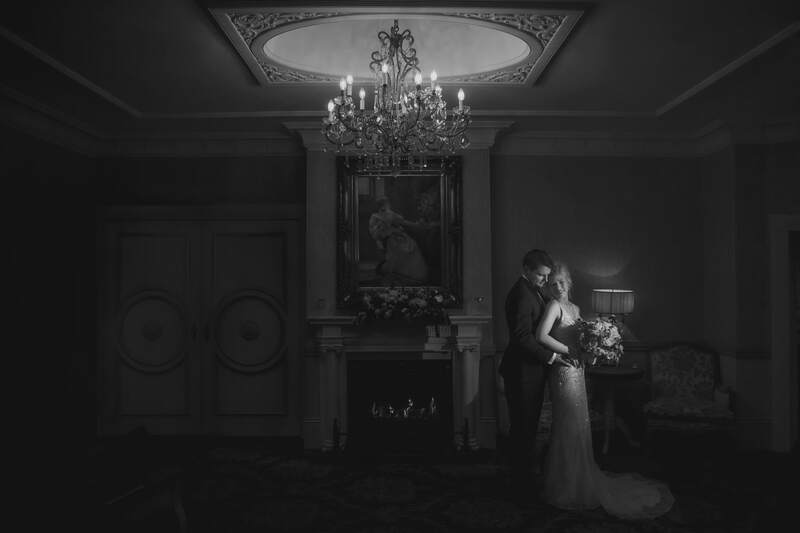 This gallery is an example of our work when shooting in low or natural light, in this case enhanced with a hint of off camera flash. 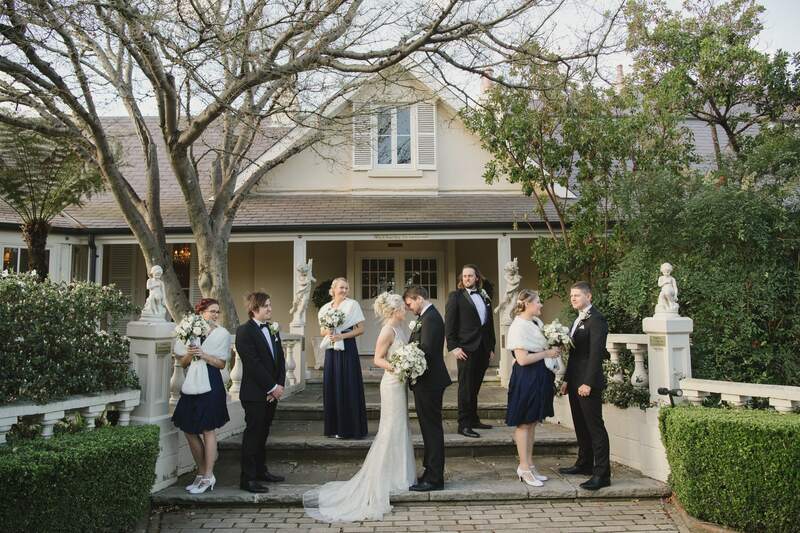 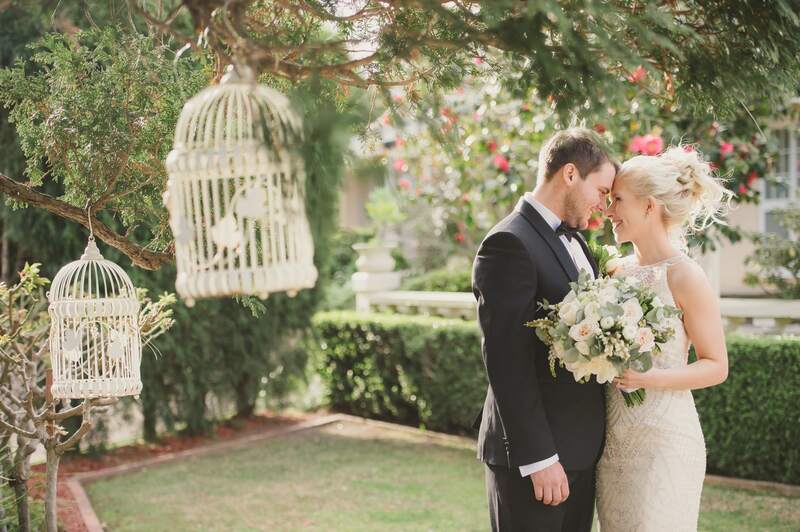 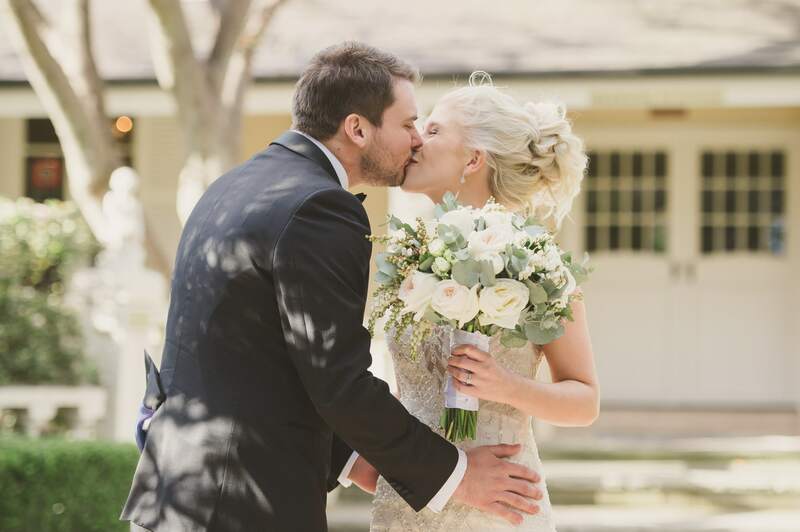 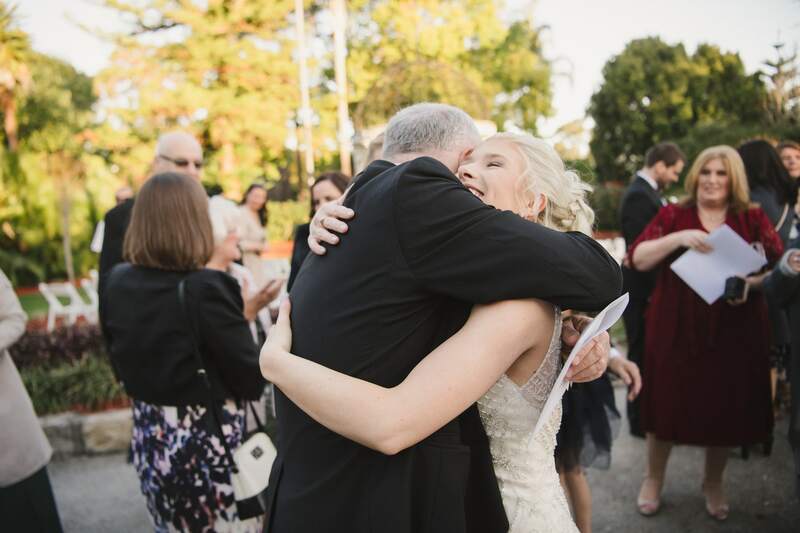 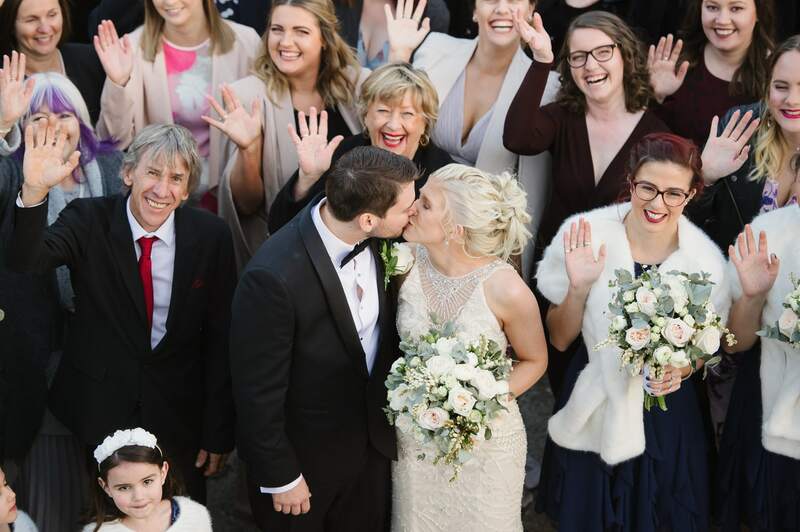 There was a stylish vintage vibe to Dan and Maryn’s wedding celebrations. 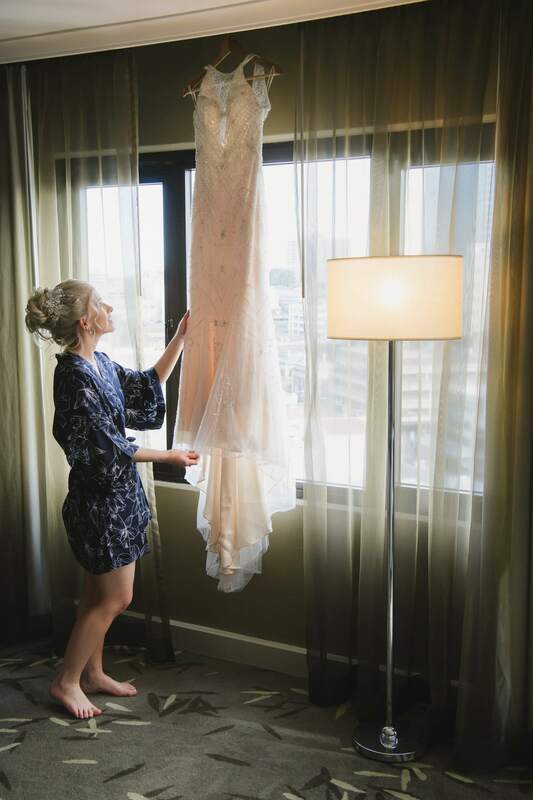 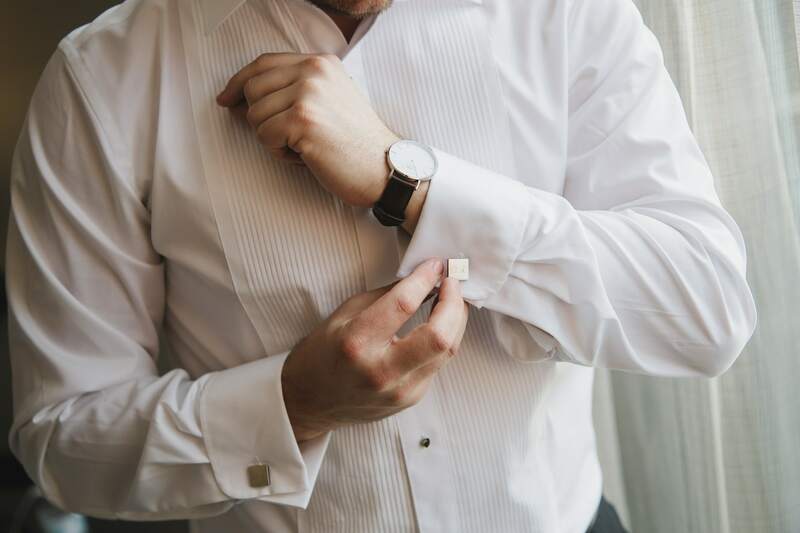 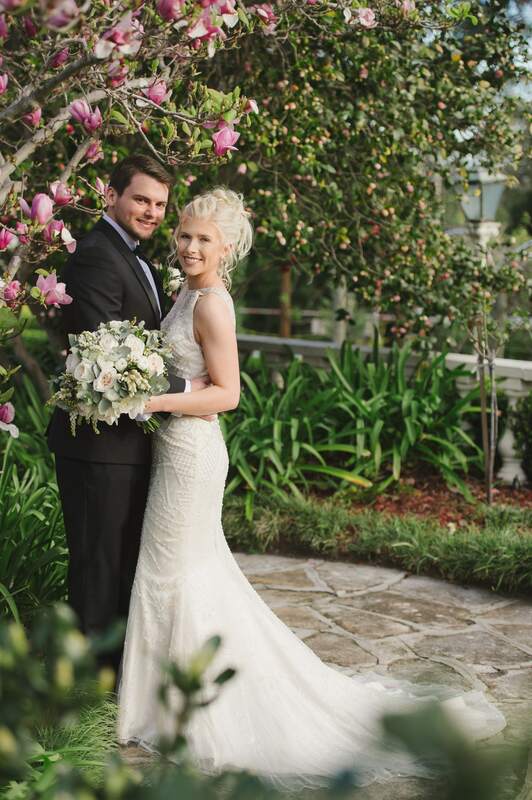 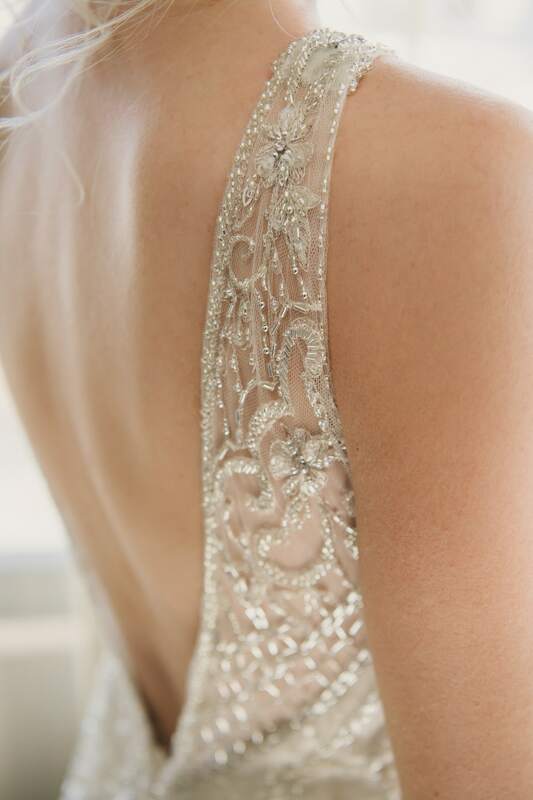 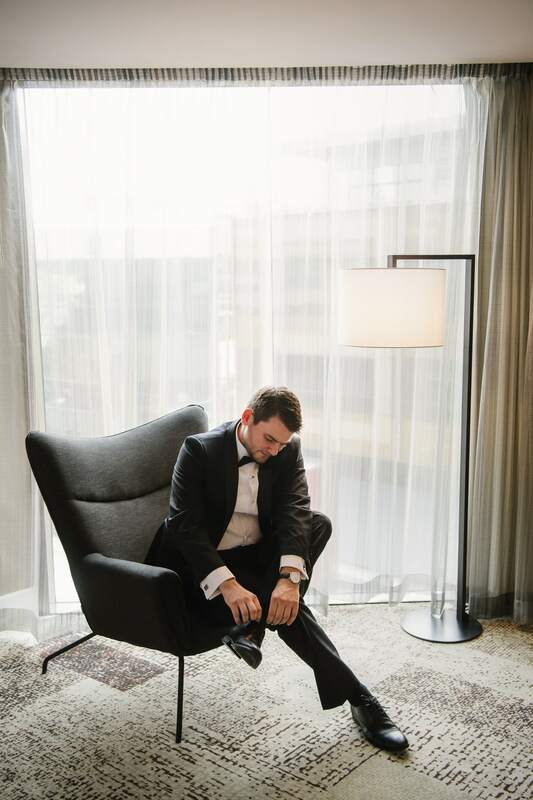 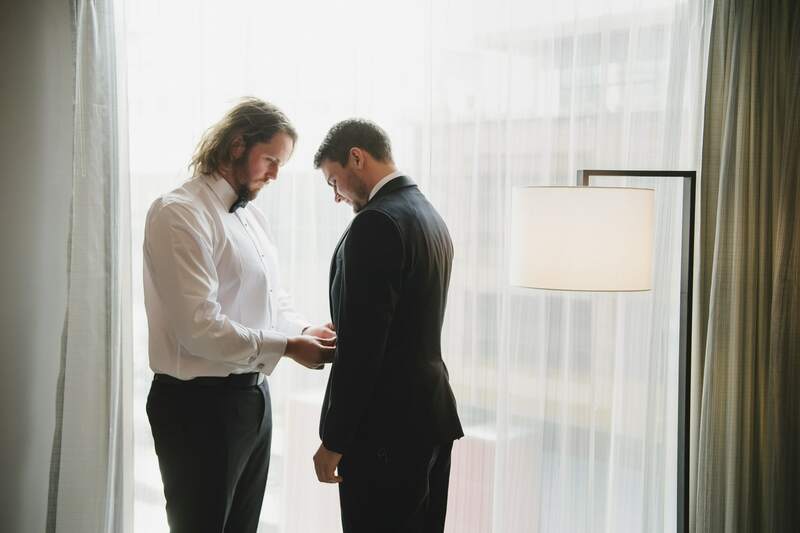 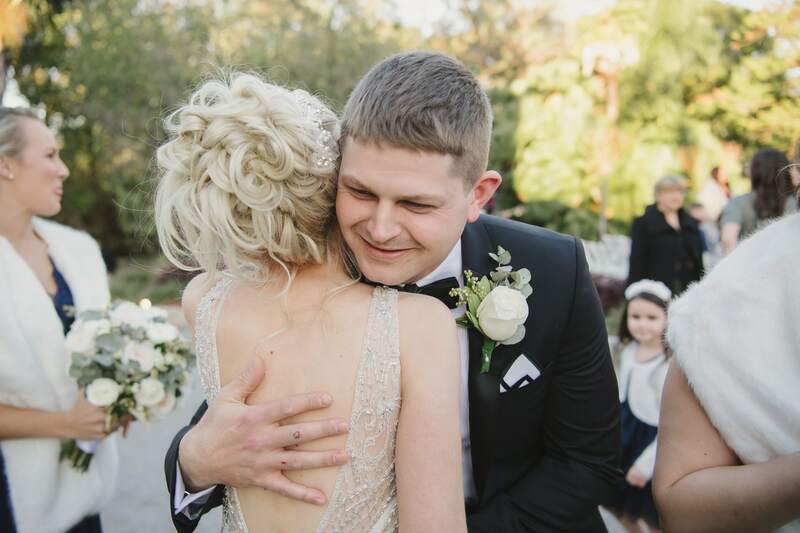 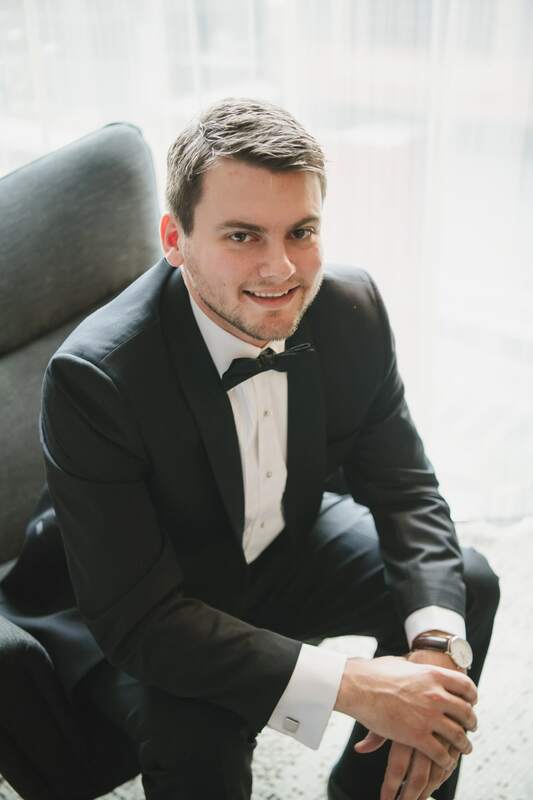 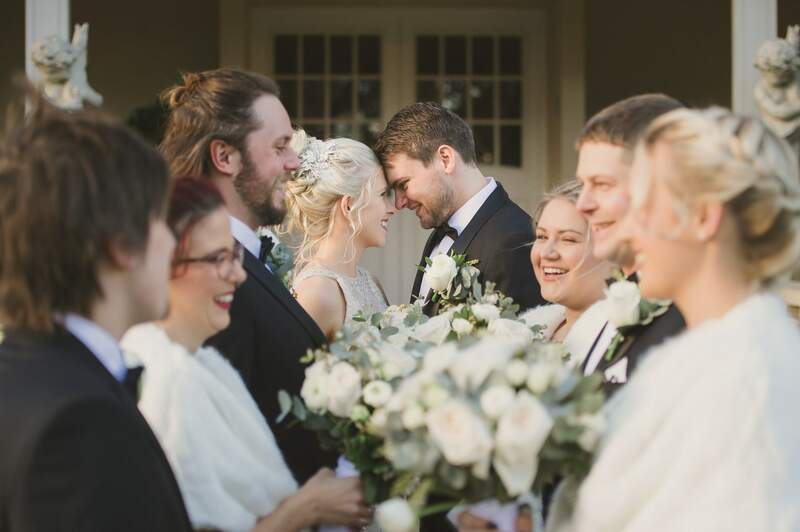 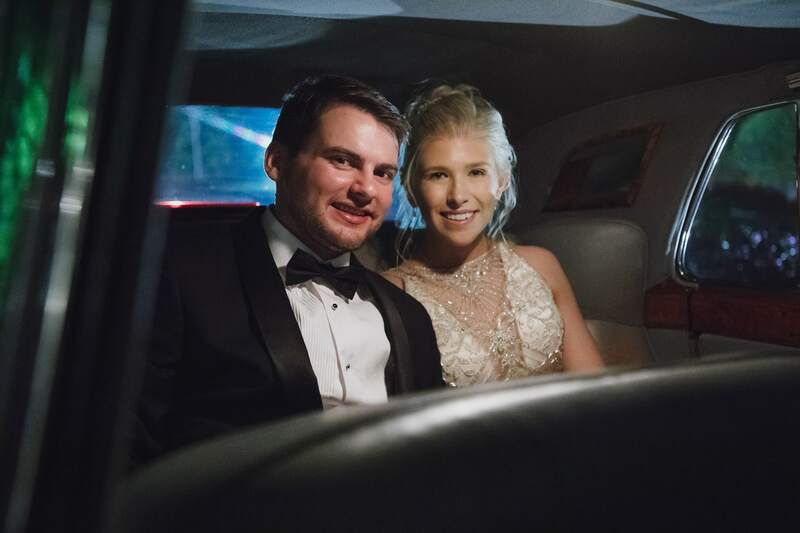 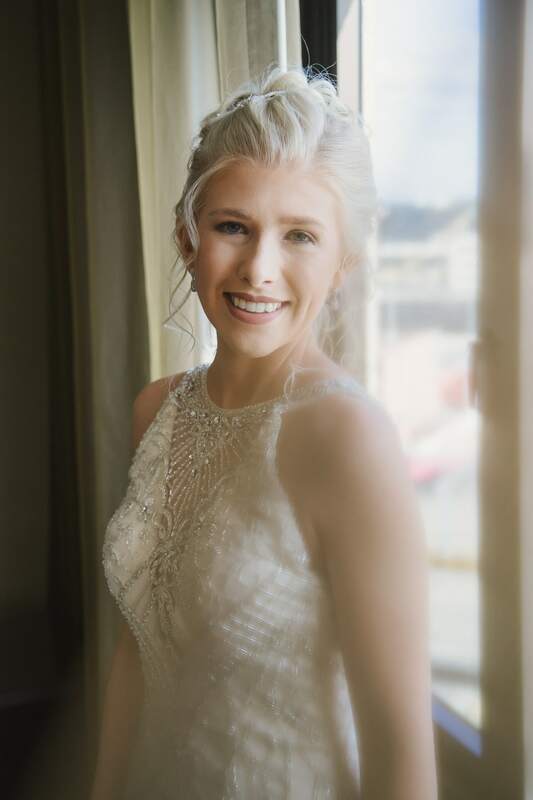 The bride’s ivory gown recalled the golden age of Hollywood, with its intricate beadwork and figure hugging silhouette, while Dan and his attendants opted for a dapper yet classic look in black tuxes. 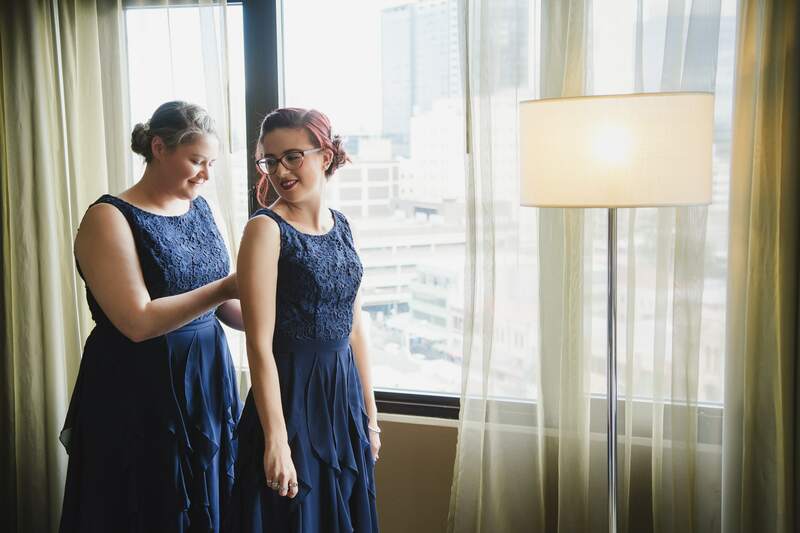 The bridesmaids’ outfits also held a hint of yesteryear, with faux fur stoles and T-bar shoes. 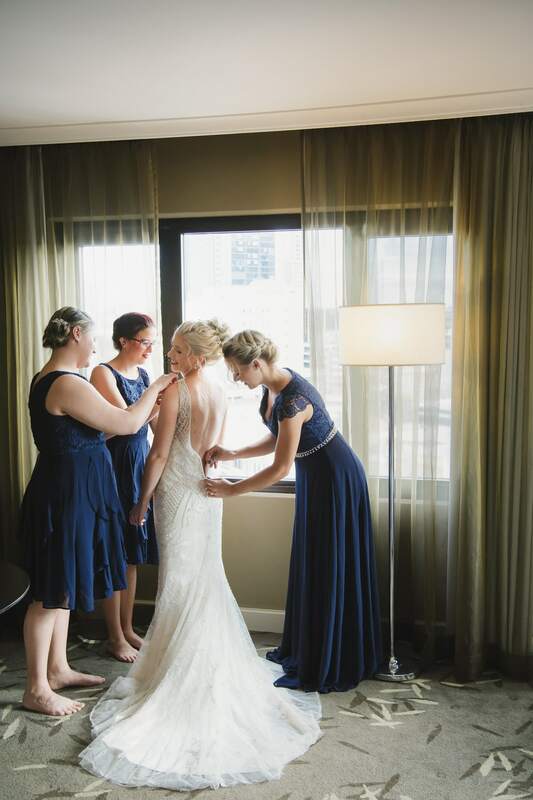 Although navy blue is both an elegant and dramatic colour choice, it can be difficult to capture accurately in photographs. 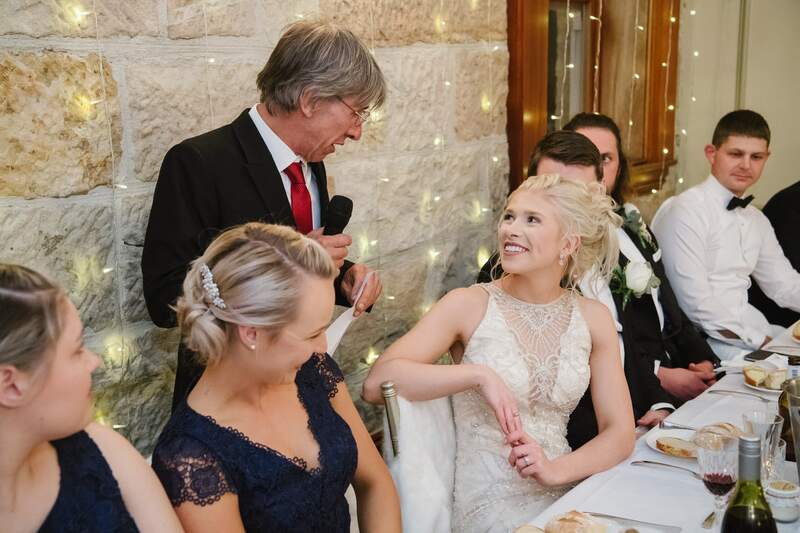 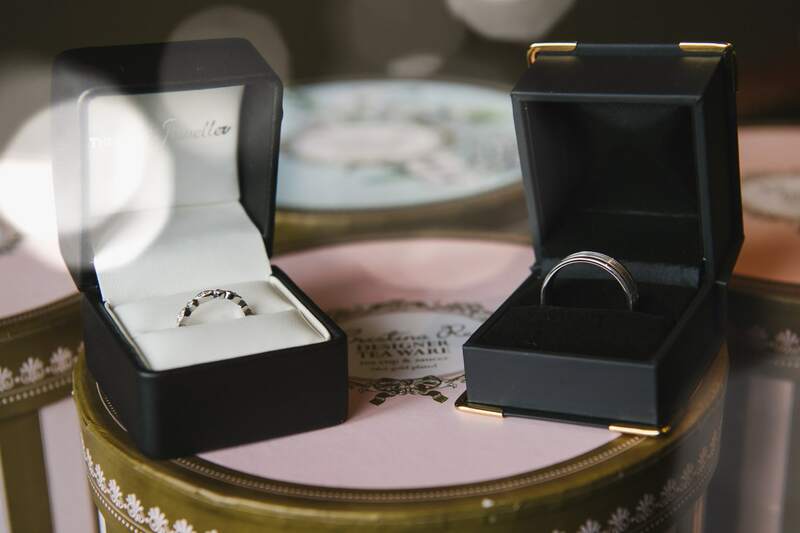 What is actually navy, may appear black, brown or even purple in images, unless your wedding photography is in the hands of skilled and experienced professionals, like Faure Valletta Photography. 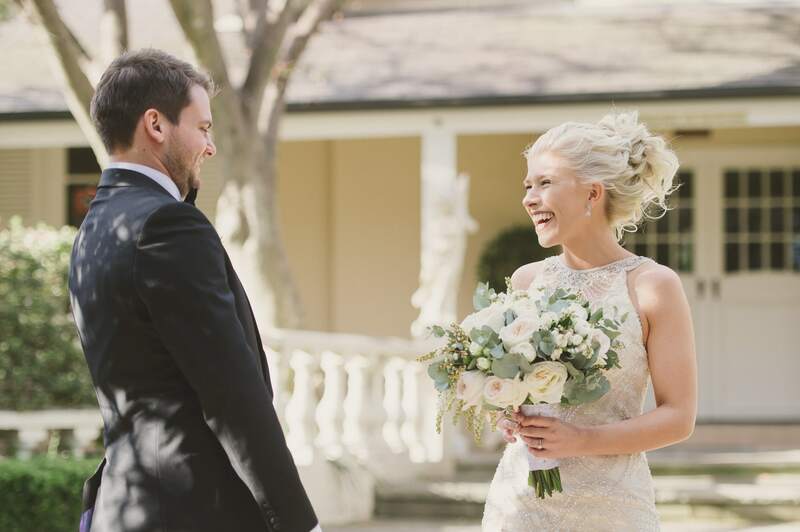 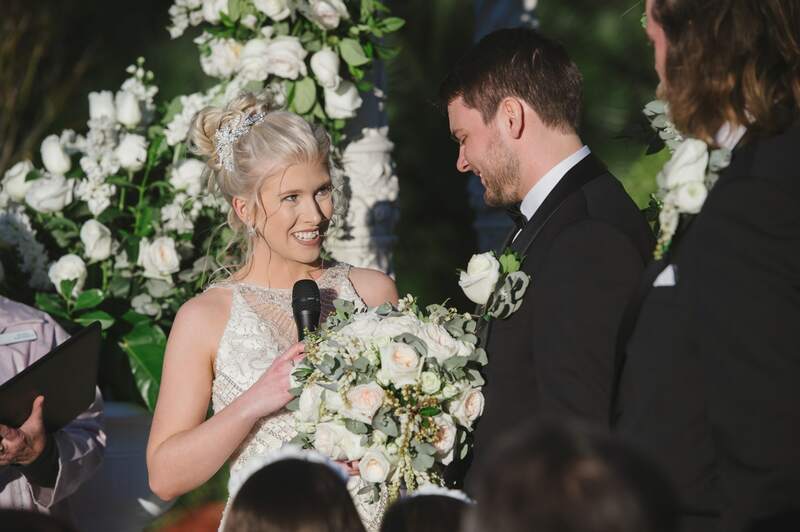 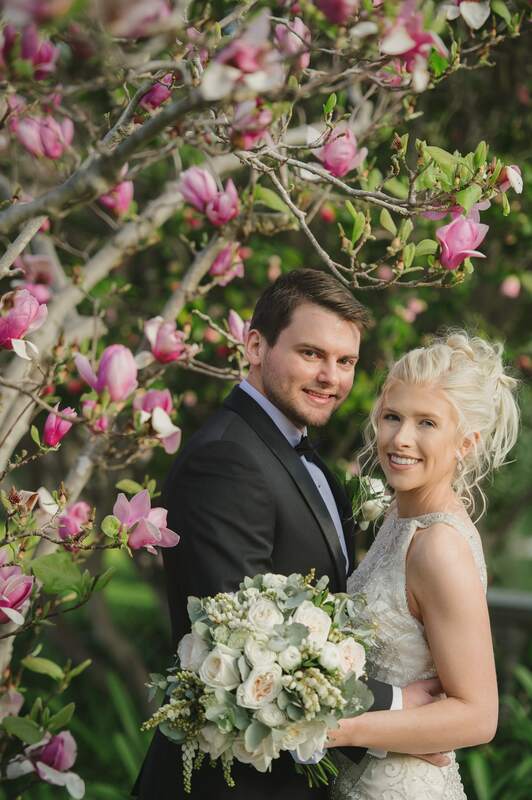 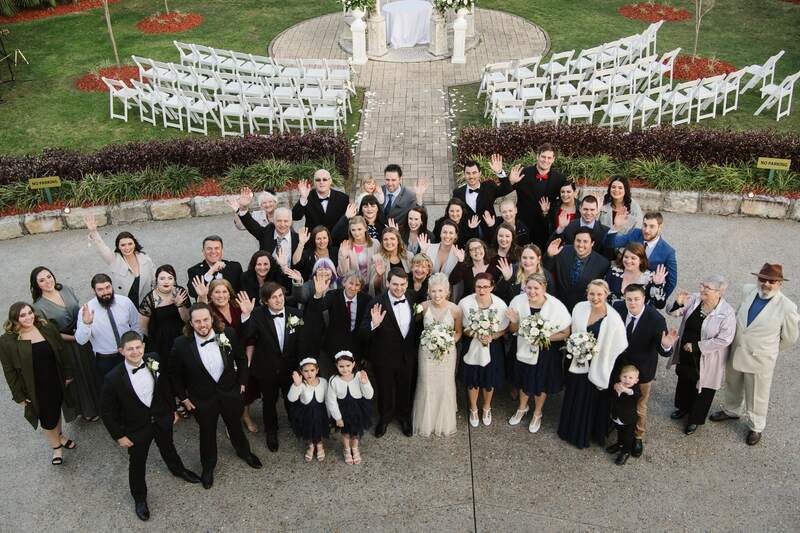 The happy couple were wed in the Oatlands Chateau Garden, beneath a wrought iron canopy draped with creamy roses and lush greenery. 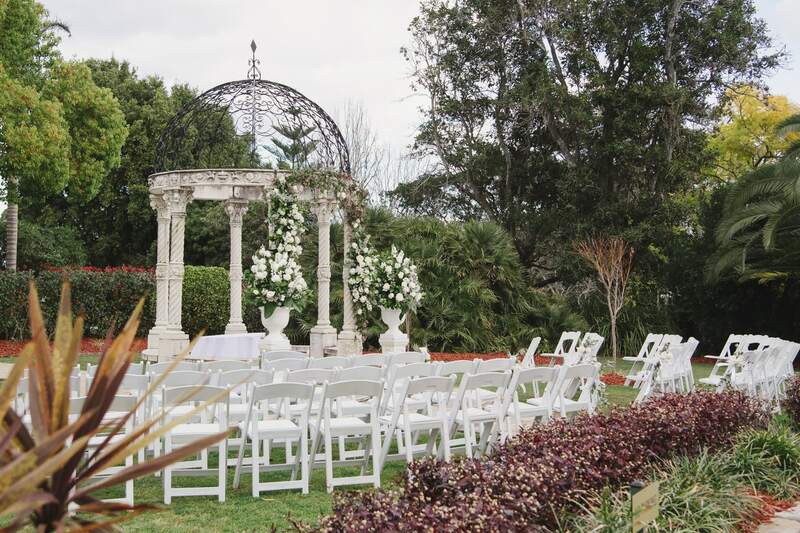 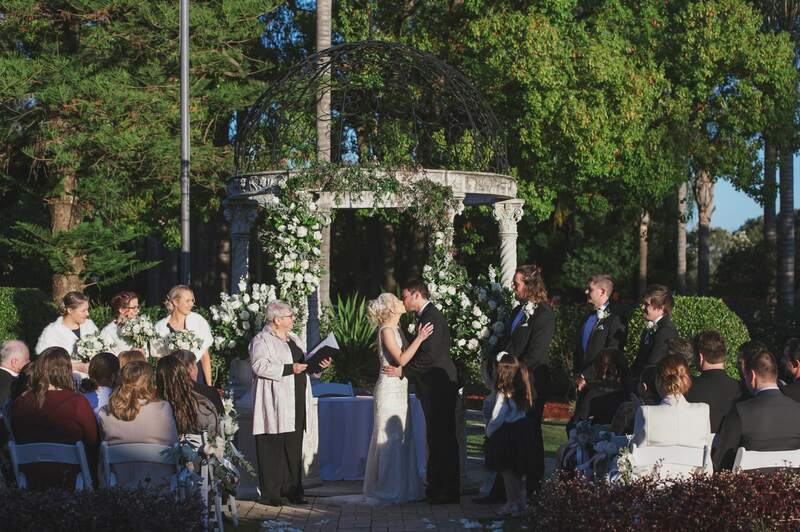 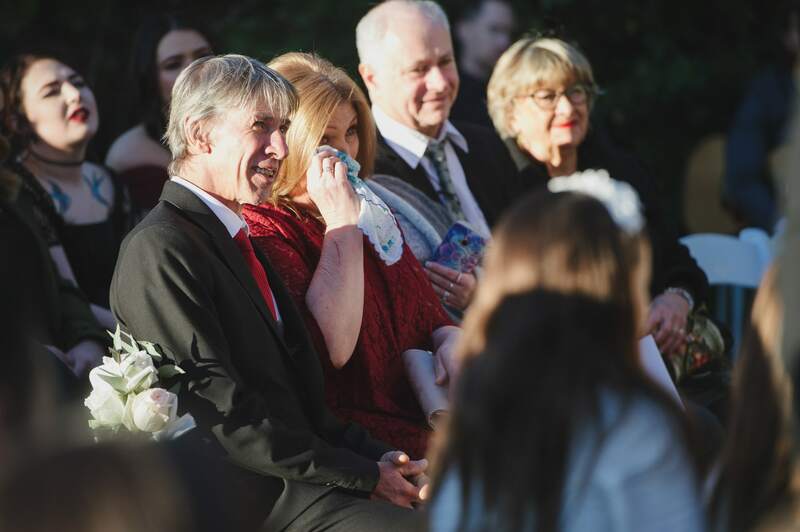 A garden ceremony is ideal for a spring wedding, and it was a glorious September day filled with sunshine, love and laughter. 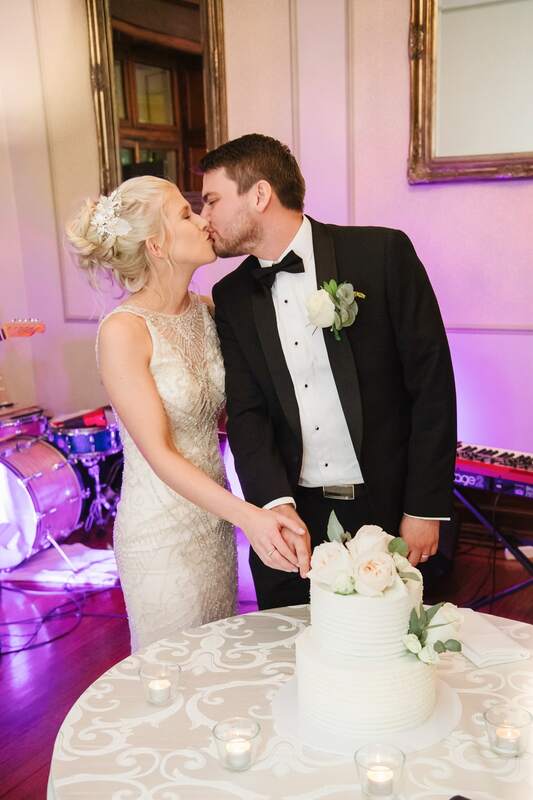 Roses of ivory and palest blush featured in the posies, décor and on the wedding cake itself, with a nod to our Australian heritage with the silvery gum leaves and fronds of wattle incorporated in the greenery. 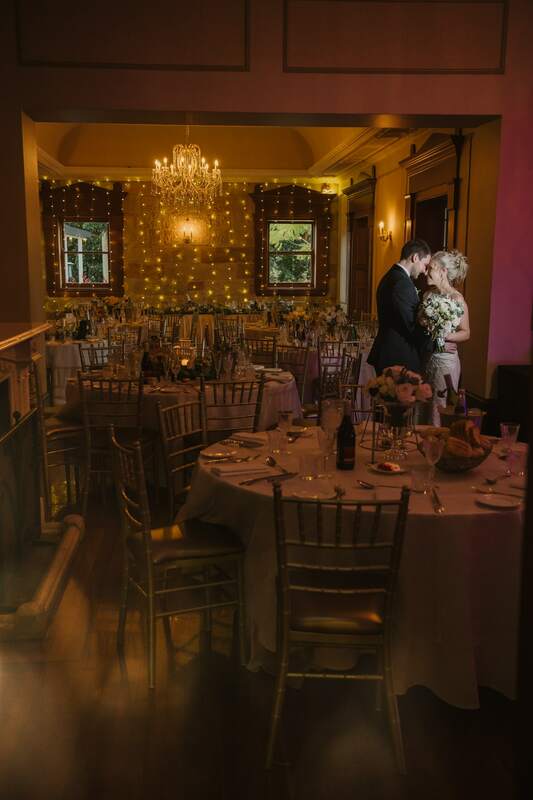 The reception which followed was held in the elegant surroundings of the Rebecca Suite, named after the first bride to be married there over a century ago. 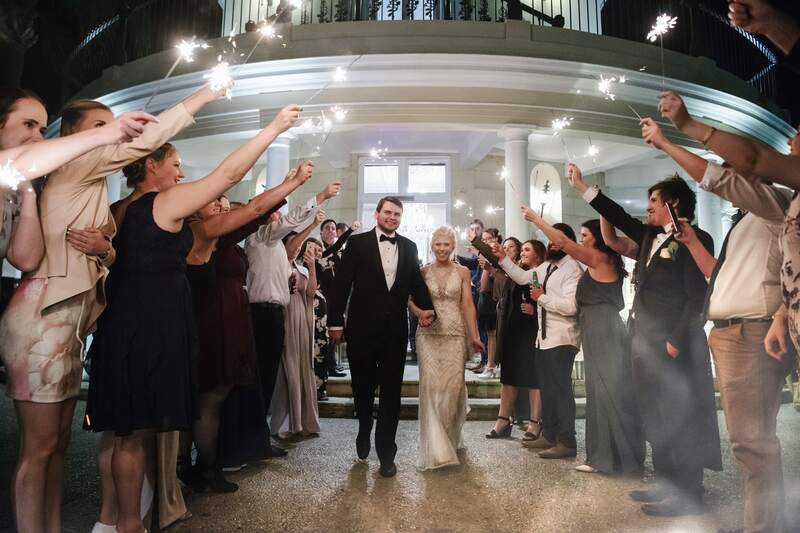 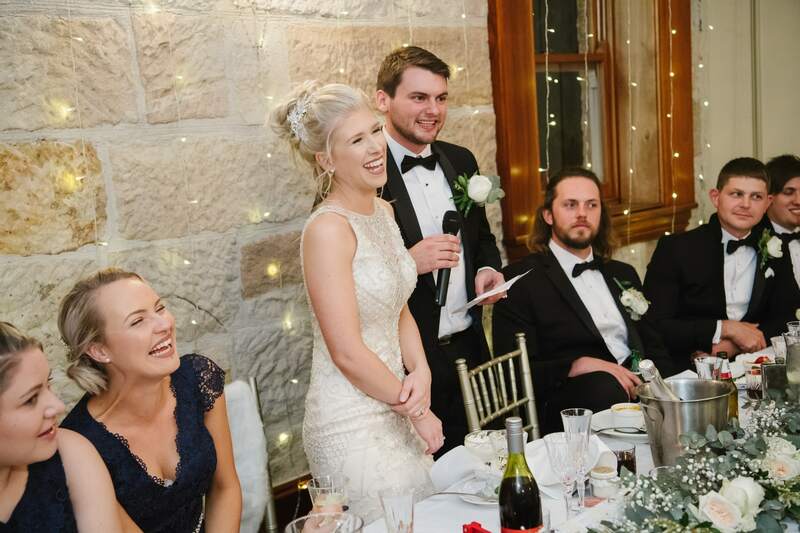 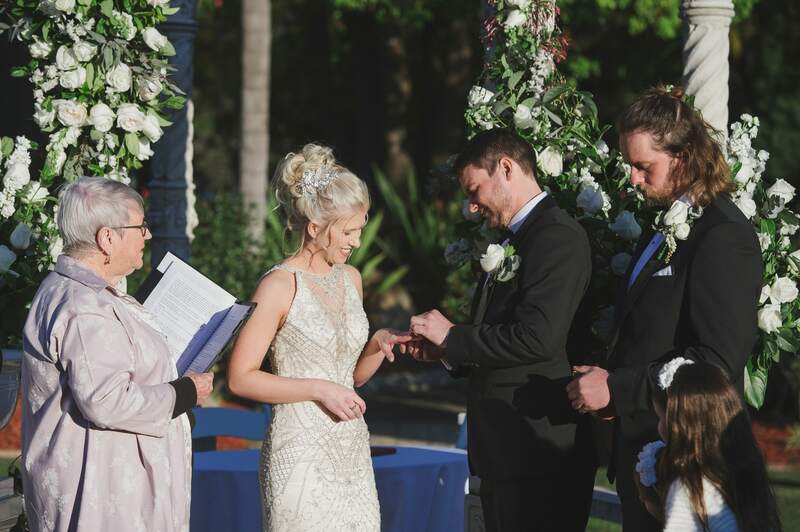 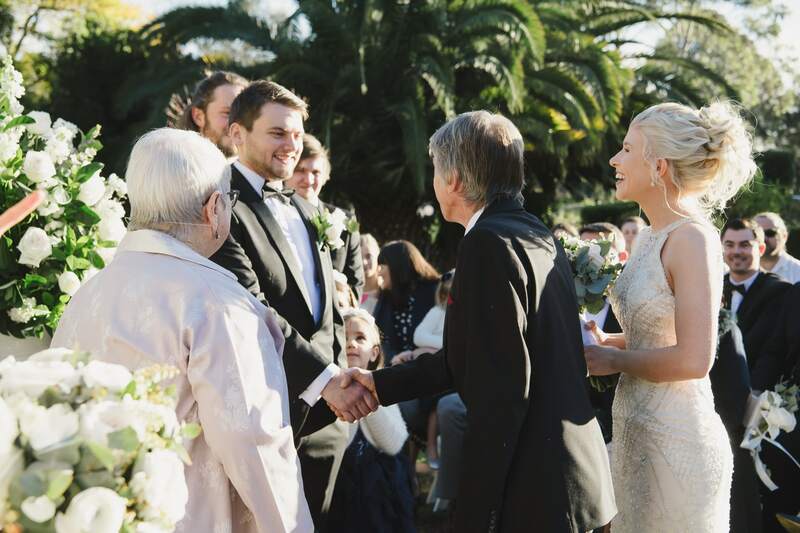 One of our favourite moments from this charming wedding, can be seen in the image where the guests have formed a guard of honour with sparklers to farewell the couple as they step out into their new life together. 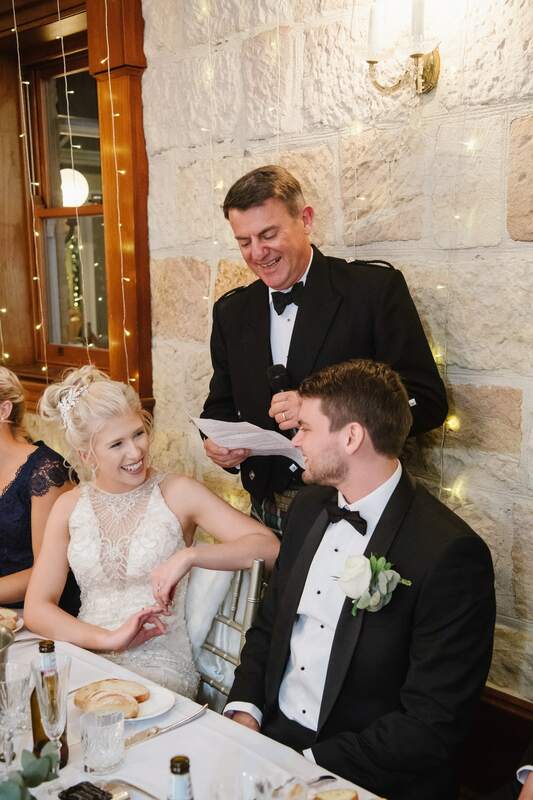 It was a privilege to be a part of Dan and Maryn’s wedding celebrations, and to create a pictorial record that they will cherish for many years to come.